Socialisation and having fun are what Brisbane classes for babies and toddlers are all about! These programs can start as young as birth, and usually involve a parent or carer taking part in the sessions as well. 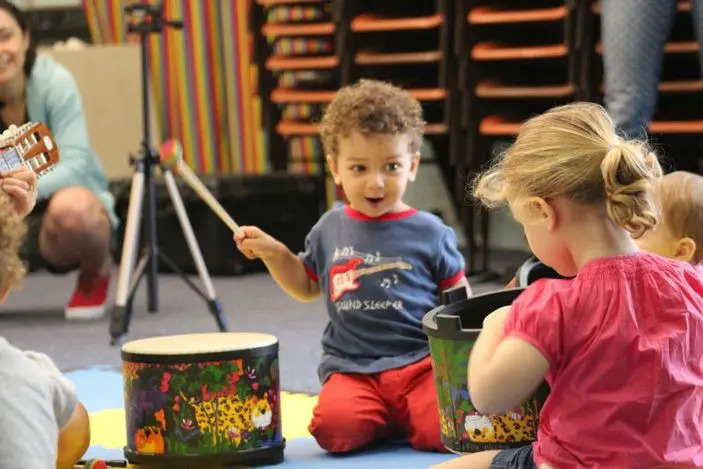 Music, song, colour and movement are key elements that engage your child and begin them on the path to physical development, whilst also playing alongside and interacting with peers. Through attending infant activity programs, babies and toddlers can be assisted to develop their social skills, become more musically aware, and increase vocabulary and gestures. The benefits of taking part in classes for babies and toddlers can also be as positive for you as they are for your child, with increased attachment and higher quality interaction between you and your baby, and a feeling of support from fellow parents which can help combat feelings of loneliness and isolation. Making Rainbows is a holistic early childhood program. It’s not just a “music class” or a “movement class” or a “sensory class”.